Following Troty and Bird, a new electric scooter-sharing scheme has launched in Brussels. Numbering 500, Lime’s bright green scooters have appeared on Brussels’ streets this week. Lime is being financially supported by Uber, which has had trouble in the capital with its taxi scheme because of disputes with politicians and the taxi sector. The scooters should prove to be much less controversial. Lime – like Bird, based in California – also works with an app. Users can search for nearby scooters with the app and scan a QR-code on the scooter to unlock it. The rates are identical to Bird – €1 per use, plus .015 per minute. The scooters will be charged between 22.00 and 7.00, when they will not be available. 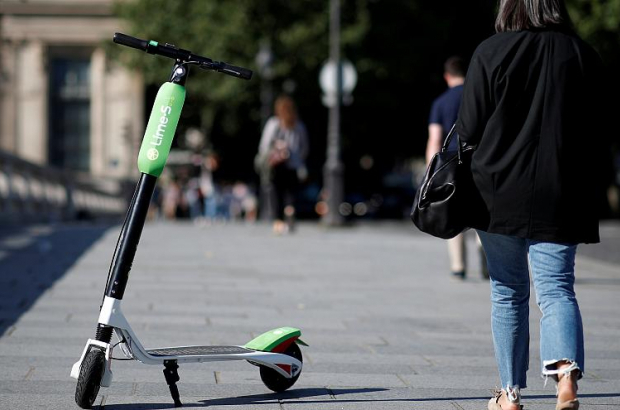 Lime scooters are currently only available in certain areas of Brussels, including Brussels-City and parts of Uccle, and can only be used within those areas. That’s limited, but what’s not is the sheer number of scooters available – 500 compared to Bird’s 200 and Troty’s 60. They also go faster – up to 24km/hr. Lime has also launched the service in Antwerp, with 50 scooters available. Users must be at least 18 years of age. 24 km/hr??? Be ready for a steep increase in A&E admissions. I don't see any lights, just like most bicycles in Brussels, for that matter. But why should they care?! The motorist's insurance will pay up anyway!